Opium was known since the Neolithic era and in 5th century wild Papaver use was reported to induce sleep and relieving pain. 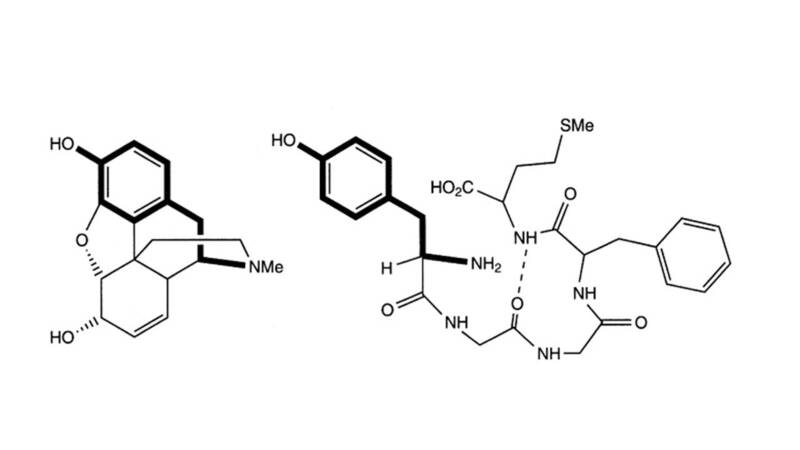 First active component isolated from Opium was morphine, the paradigm of a natural product discovered 150 years before isolation of endogenous opioid ligands, brain pentapeptide enkephalins. Since then many endorphin peptides and their mode of action were discovered. Native endorphins were characterized thanks to the synthetic antagonist naloxone. Anna Maria Papini is Professor of bioorganic chemistry and coordinator of PeptLab (www.peptlab.eu) who started at Università di Firenze after her PhD supervised by Luis Moroder (Max Planck Institute for Biochemistry, Martinsried, Germany) and Gianfranco Rapi, Department of Organic Chemistry, Università di Firenze. She obtained Leonidas Zervas Award 2018 for outstanding contribution to peptide science and since 2017 she coordinates the scientific activities of PeptFarm "Laboratorio congiunto PeptLab-Università di Firenze – Fabbrica Italiana Sintetici" to develop large-scale synthesis of peptide-drugs. She chaired the Gordon Research Conference on Peptides in Ventura (CA, USA) in 2016 and was nominated chair of 14th International Peptide Symposium that she will organise at "Palazzo dei Congressi" in Florence in 2022.